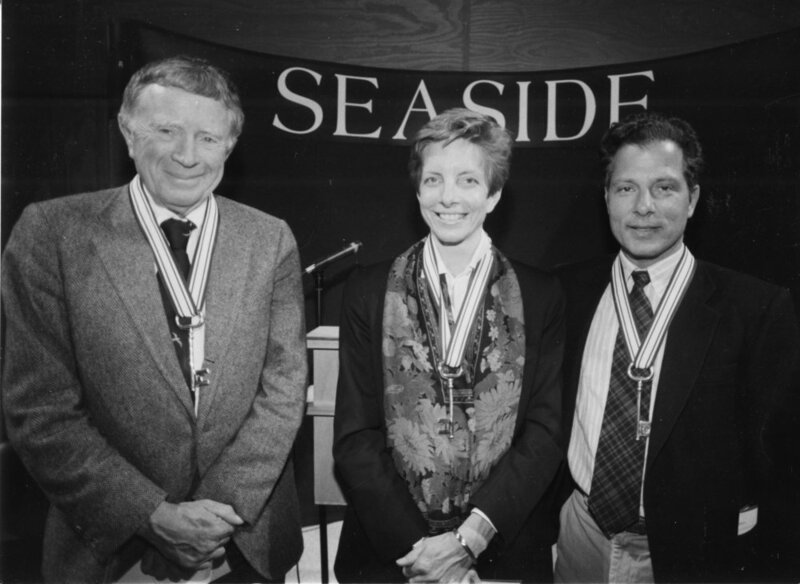 Vincent Scully, Elizabeth Plater-Zyberk and Andrés Duany, Seaside Fellows. Vincent Scully (1920 - 2017) is widely considered the spiritual father of New Urbanism. Scully was Sterling Professor Emeritus of the History of Art in Architecture at Yale University, where he taught for more than 60 years. Two of Scully's former students, Andrés Duany and Elizabeth Plater-Zyberk, went on to design Seaside. Scully, along with Duany and Zyberk, were the first winners of the Seaside Prize. Following his death, a mural was painted in his honor in the town center of Seaside.